So I guess if they continue to bow to the wishes of the few, and if this e-mail gets out to the right people, maybe they would bow to the wishes of the many. Does Kerry's Bunny Picture Remind you of Someone? You know what I thought of the first time I saw this? I thought of this, of course! It's so funny every four years when the Democratic candidate plays dress-up for the cameras! I'm trying to get all this political stuff straightened out in my head so I'll know how to vote come November. Right now, we have one guy saying one thing. Then the other guy says something else. Who to believe... Lemme see, have I got this straight? Today Lucasfilm announced the title of the last Star Wars movie ever - Star Wars Episode III: Revenge of the Sith. From what I've seen, the movie shaping up to be awesome. This Star Wars fan can't wait. I recently picked up some collectable Revenge of the Jedi posters. Lucas originally named Episode VI Revenge of the Jedi, and then later changed it to Return of the Jedi - but not before producing a few marketing materials (mainly small posters). Those posters are now highly collectable, and I have two different ones! The entire report is available for free online. I have read through a few chapters, and I must say it is sad, compelling reading. The document is extremely well-written, and from what I've seen, strikes a very impartial, factual tone. Chapter 1, "We Have Some Planes," brings all the emotion of that day back. Each flight is detailed with exactly who was on board, the situation, and what transpired. I was glad to finally read in detail about the heroism aboard the flight that crashed in Pennsylvania. True American heros. I had an idea for a prediction activity graph, so people could see how active a predictor was in the recent past. I added the graph to the Prediction Statistics page for each member. It shows a bar graph for the past 90 days, with the total number of picks for each day. Maybe sometime next year (when we get a longer prediction history) I'll add a rolling 13 months graph as well. For those who like to know the technical details, I was able to do it stictly using HTML table constructs and 3 1-pixel graphics. The result is that is should appear consistent in any browser, and it should load pretty fast. DALLAS (AP) - Eight soldiers flying home from Iraq for two weeks of R&R flew in style instead of coach after first-class passengers offered to swap seats with them. "The soldiers were very, very happy, and the whole aircraft had a different feeling," flight attendant Lorrie Gammon told The Dallas Morning News in Thursday's editions. The June 29 seat-swap on American Airlines Flight 866 from Atlanta to Chicago started before boarding, when a businessman approached one of the soldiers and traded his seat. When the swapping was done, "the other two first-class passengers wanted to give up their seats, too, but they couldn't find any more soldiers," Gammon said. Another flight attendant, Candi Spradlin, said she was impressed with the acts of good will. "If nothing else, those soldiers got a great homecoming," she said. BLACKSVILLE, W.Va. (AP) - Warning: smoking in the toilet can be dangerous. A portable toilet exploded Tuesday after a man who was inside it lit a cigarette. Well, too bad. It looks like Ditka is out of the Illinois Senate race as quickly as he was in. I just read that Mike Ditka is going to run for the Senate seat in Illinois. Cool! Will Kerry Really Bring Jobs to the USA? This was just e-mailed to me by a Lottery Post member. Good stuff to think about! Shortly after reading the following e-mail content, I happened to look at the label of a jar of Heinz sandwich slice pickles. Yep.... "Made in Mexico". Sen. John Kerry keeps talking about "U.S. corporations leaving this country and setting up shop in foreign countries, taking thousands of jobs with them". He is right, because that has happened. However, he is trying to blame it on George W. Bush. As far as I know, Bush has not moved one factory out of this country because he is not the owner of a single factory. That cannot be said about Kerry and his wife, Teresa Heinz-Kerry. According to the Wall Street Journal, the Kerry's own 32 factories in Europe and 18 in Asia and the Pacific. In addition, their company, the Heinz Company, leases four factories in Europe and four in Asia. Also, they own 27 factories in North America, some of which are in Mexico and the Caribbean. Eighty percent of Heinz products are made overseas. I wonder how many hundreds of American workers lost their jobs when these plants relocated in foreign countries? I also wonder if the workers in Mexico and Asia are paid the same wages and benefits as workers in the United States. Of course they're not. However, Kerry demands that other companies that relocate should pay the same benefits they did in the U.S. Why does he not demand this of the Heinz Company, since he is married to the owner? If Kerry is elected, will he and his wife close all those foreign factories and bring all those jobs back to America? Of course they won't. They're making millions off that cheap labor. Do you find it strange that Kerry's wife is never with him? Do you find it strange that you never hear any thing about her? As time goes on, we're just getting to know the possible future First Lady of the United States of America, and it is quite interesting. You'll be hearing even more about Teresa Heinz Kerry, wife of Democratic front-runner. She has quite a track record, especially when it comes to the causes she donates to. One of her favorite charities is the Tides Foundation. This foundation sends hundreds of millions of dollars to groups that protested the invasion of Iraq; that demands open U.S. borders; and provides legal defense for suspected terrorists. Ramsey Clark's International Action Center. This is the same Ramsey Clark that offered to defend Saddam Hussein. Another group seeks to ease restrictions on immigration from terrorist nations. Another group has links to the terrorist group Hamas. American jobs are OUTSOURCED by John F. Kerry and his wife Teresa Heinz-Kerry! Why not manufacture in America and ship finished products overseas? How many American workers are in these Heinz overseas factories? 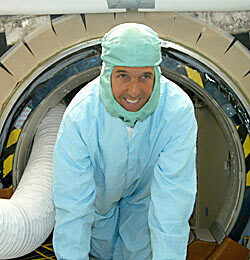 I don't think John Kerry's Vietnam service is going to make people look the other way on this stuff. Finished Popups and .... Results History! I finished coding the entire Web site with popup menus for User links and Game links. It should be much easier to access key features now, and it will be much easier to expand in the future. Also, All the results history has been loaded and is available online! Standard members can see up to 10 drawings of history, and Gold and Platinum members have unlimited access. All winning predictions - since the feature was first available - have been calculated as well, so I can start building those pages now. Should be fun! Remember when the liberals were screaming at the top of their lungs about how Bush lied in his State of the Union Address? Bush made a statement about how British intelligence discovered that Saddam was trying to buy uranium from a country in Africa. 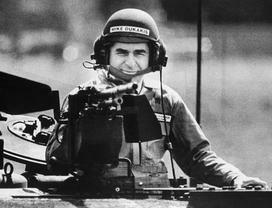 Soon afterward the British said they weren't quite so sure after all, and the liberals immediately said "Bush lied!" Most innormed people can reason out the situation and see that even if it turned out that Saddam did not buy uranium from Africa that intelligence is not a perfect science, and there was certainly no lie. He would have been given (and acted on) faulty intelligence, but that happens every day. HOWEVER, as it turns out - the intelligence was TRUE. It is now confirmed that Saddam WAS trying to buy uranium from a country in Africa, and Bush made an accurate statement in his address. Where are the screaming headlines? Liberals admit they were wrong? Never. And since they're the ones who run most of the newspapers don't expect any big headlines either. 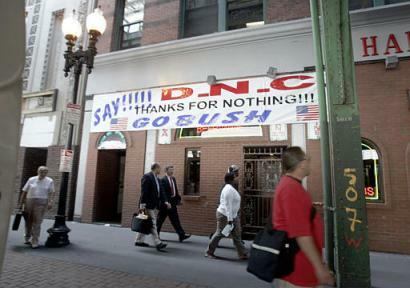 I'm sure all the Bush-bashing is going to build to a crescendo this summer as the election nears. It is really too bad that it has come to this. Lots of stuff going on behind the scenes at Lottery Post. I've finally finished loading all the results history for all the games, plus the jackpot history. Both histories go back at least a couple of years - the results go back to the mid- to late-90's. Although you won't notice the change, I have upgraded the menus to support better popup control. You can see an example of this on the new Lottery Jackpots page. Clicking the game brings up a context menu that currently brings you to the Jackpot History page for that game. There are lots of other areas I'm going to start coding context menus. Lottery Post has gained so many new features that it has become important to implement the menus. Next on the to-do list is the comprehensive prediction stats, so that people can see how they have done (and see how others have done). Should be interesting. Also, still working on Gold and Platinum memberships! I finally got around to fixing up the Printable Page feature, which has always been a little buggy when there is lots of normatting in the messages. Now it seems to produce pretty good plain text, suitable for printing or copying. The Blog feature you were waiting for! It was much trickier to add than I had anticipated, but the Edit and Delete functions are finally available for Blogs! They have the same restrictions as Editing and Deleting your messages posted to the forums. That is, you have up to 20 minutes after you post the Blog entry to Edit and/or Delete it. I have found this time limitation to be a good balance between giving everyone the ability to fix errors (as well as second-guessing a post after a second read-through) and making sure we don't end up with a bunch of revisionist history by allowing unlimited editing. If someone posts a truly "evil" comment, I can be contacted for removal. But I will only remove comments in extremely rare cases - only instances where I would immediately suspend the member's account. Anyway, I hope everyone is helped by the new Edit and Delete functions! Just added a new Blog feature that has been requested a few times.� From the main Blog page you can click a link to show all LP members with a Blog.� Fully searchable and sortable, so when the number of Blogs grows it should be very useful.